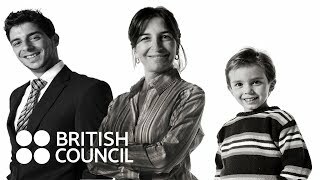 The British Council is driven by partnership, learning together and promoting positive change. Through our work in education, English and the arts we make a real difference to the lives of millions of people in the UK and around the world. We collaborate with a broad spectrum of organisations in Sri Lanka, leveraging our global networks, expertise and trust to help them achieve their goals. When it comes to our business partners, we fully understand their corporate social responsibility and marketing strategies. Equally, we appreciate our public and third sector partners’ aims in development, education and the arts. Please get in touch if you would like to partner with us. Our partners in Sri Lanka include trusted government organisations, top educational institutes and leading corporations. They are as diverse as our global networks. To celebrate 70 years of UK-Sri Lanka cultural relations, the British Council Sri Lanka is exceptionally funding a small number of grants this year. We always work in partnership, as well as encouraging authorship from across our global network.